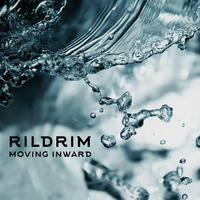 Moving Inward is an album that explores both the classical and jazzy sides of Ambient by shifting the focus of its musical content from the typical static sonorities, as well as the emphasis on sound design found in pure Ambient, to a more harmonically dynamic and melodic Downtempo that draws inspiration from traditional sources without neglecting the creative innovations of forward thinking contemporary music. The result is a delightful collection of relatively short pieces that add a catchy element to the sought after unobtrusive quality of Ambient that opens up a fresh and exquisite sonic space where past and future not only coexist, but enrich each other. License Electronic music becomes poetry by Rildrim for your project. Play the music of Rildrim in your restaurant or store.